Seaotters.com has a rediculiously cool camera up, watching the otters that live year round at the mouth of the Elkhorn Slough. I have been watching this sea otter cam for a while now and just realized that I could embed it and be able to share it with you. 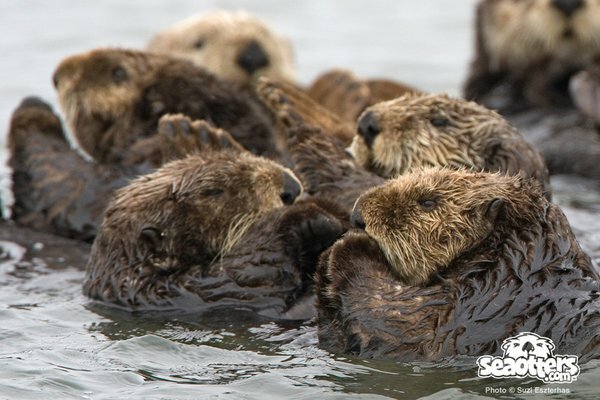 The sea otter camera will also tilt, pan and zoom, so sometimes it is better than others. Most of the time it is really great. Please enjoy the cam, and comment when your otters do something cool! As a footnote: if you watch the cam and decide to go see the otters in person, PLEASE do not harass them. There are signs posted asking people to keep away, and for those that do harass the otters, seaotters.com really seems to enjoy posting their photos to their twitter feed as people “Harassing the otters. Elkhorn slough is south of Santa Cruz, down in Moss Landing, about halfway between Santa Cruz and Monterey. If you aren’t familiar with the area Elkhorn Slough is kind of it’s own little wilderness area. There isn’t much going on out there apart from a small craft harbor, a power plant and lots of wildlife.